I’ll quickly give an overview about back injuries from accidents. Then, I’ll talk about actual settlements for back pain from car accidents and other accidents. You’ll see real settlement amounts. I’ll also explain how I arrived at the settlement amount. I wrote a separate article on back injury claims for slip and falls in Florida and on cruises. Here, I concentrate on back injury claims from Florida car accidents, truck wrecks and motorcycle crashes. Your back is composed of muscles, bones and other tissues that go from your neck to your pelvis. Back injuries can be caused by a sudden impact like a car accident, sports injuries, or doing work in your garden or home. If your making a personal injury claim for your back injury, expect the insurance company for the responsible party to argue that your back pain wasn’t caused your accident. The insurance company may argue that back pain comes with getting older. If you’re young, they may claim that your back pain was caused by everyday tasks like work around your house or garden, or a sports injury. These defenses can make an injured person’s back pain case tougher. Treatment for back injuries include medicine, icing, bed rest, physical therapy, or surgery. Which Back Injuries Are Worth the Most? In terms of back injuries, juries typically award the most money for paralysis. Fortunately, that injury is rare. The next biggest back injury cases are where the injured person has their vertebrae fused, and has a pain pump installed. Juries have also awarded big verdicts where the injured person has a compression fracture in their back, and has surgery. Does the Length of Treatment Affect Your Settlement Amount? Yes. As the length of your treatment increases, so does the full value of your case (for settlement purposes). Thus, all things equal, someone who treats for 5 months has a better case than someone who only gets 2 weeks of treatment. In addition, surgery greatly increases the full value of your case for settlement purposes. Surgery can quickly multiply the value of a lower back pain case. The insurance company may argue that your back injury isn’t related to the accident and that you may have been able to prevent it by keeping a healthy weight. They will argue that maintaining a healthy weight minimizes stress on your back. In this article, I concentrate on talking about the pain and suffering settlement value for lower back pain for a bulging disc, herniated disc, or injury to the muscles in your back. This article applies if you have a Florida personal injury case. When Does Length of Treatment Least Affect Your Lower Back Pain Case? All things equal, the length of treatment has the least affect on your lower back pain case if there was no damage to the cars involved. The same is true if there was little damage to the vehicles involved. This is because the insurance company will argue that the accident didn’t cause or aggravate your lower back pain. Do Steroid Injections Increase the Value of a Lower Back Pain Injury Case? Steroid injections to the injured person’s lower back increase the full value of the case. You still need to show that the other driver was negligent (careless). The injured person’s doctor needs to say that the accident caused or aggravated the lower back pain. Does a Herniated Disc Increase the Value of a Lower Back Pain Case? Yes, assuming that you can show that the car accident caused or aggravated the herniated disc. Do Some Insurance Companies Pay More to Settle (Back Pain Claims) than Other Companies? Yes. Some insurance companies have a better reputation for offering better settlements in lower back pain cases. Insurers like USAA and the Hartford have a better reputation for paying back pain claims than companies like Liberty Mutual and others. Some of this article does not apply if you only have a workers compensation claim. However, this article does apply if you are hurt while working and you also have a personal injury claim. The insurance company may also argue that your job was the cause of your back pain and not the accident. The insurance company will argue that many jobs, such as nursing, construction or factory work, can put huge demands on your back. You should argue, if true, that you didn’t have back pain before the incident. If you did have back pain before the accident, you should argue that the accident aggravated it. Rather than list below all my settlements for lower back injuries, I have tried to include those in which the main injury is a lower back injury. My client, Ray, was an Uber driver who was engaged in a ride in Miami, Florida. He was in Vehicle 2 in the above diagram. He had a passenger at the time of the crash. A company van (vehicle #1 in the diagram) was heading in the opposite direction. The van made a left hand turn. They showed a L4-5 left paracentral disc protrusion with some indentation on the thecal sac with moderate subarticular recess stenosis on the left. It also showed a L5-S1 left paracentral disc protrusion, which abuts against the thecal sac and may abut against the exiting nerve root on the left. The doctor at the hospital called these protrusions “bulging discs“. They did not call refer to them as “herniated discs“. 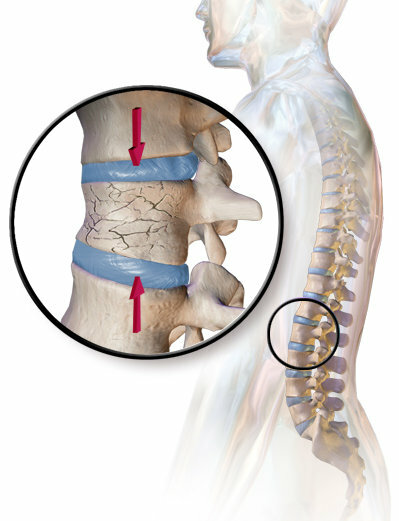 However, some doctor use the term disc protrusion when referring to a herniated disc. He had one epidural steroid injection to his lower back. The Uber driver also had a fracture of the lamina of his T3 vertebrae. I settled the Uber driver’s personal injury claim for $260,000. CNA, the insurer for the at fault van, paid the $260K settlement. Learn more about Uber accident settlements. An occupant of a car claimed that a car wreck caused or aggravated his herniated disc. He had epidural injections to his lower back. However, they didn’t work. He then had a lumbar fusion surgery. Allstate and a BI liability insurer paid a combined $150,000 to settle. I represented the injured claimant. Keith was driving of a car in Coconut Grove, Miami, Florida. Another car crashed into the back of the car that Keith was in. Keith was not transported to a hospital. After the crash, he complained of neck and back pain to his doctor. It improved a little bit but didn’t go away. Many months after the crash, Keith was treated for back pain. An MRI of his lumbar spine (lower back) showed a herniated disc at L5-S1. 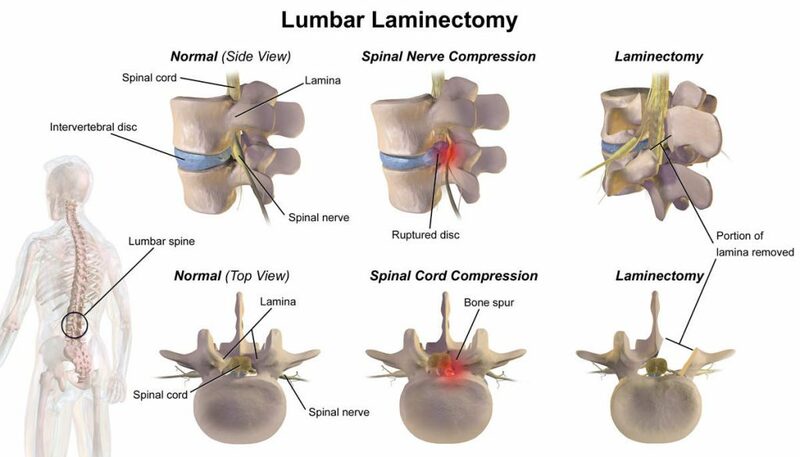 Below is an illustration of a laminectomy (which is the most similar procedure to a laminotomy that I have an image of). A hemilaminotomy is a surgery where a window is drilled in the bone through which the nerve root and disc are accessed. A herniated disc is typically removed through such a bony opening. Neurosurgeons often perform such procedures under an operating microscope. As I mentioned, Keith also had a microdiskectomy. Here is an illustration of a discectomy. Keith was given general anesthesia for the surgery. He was left with a scar on his lower back after the surgery. State Farm insured the careless driver with $100,000 in bodily injury liability (BIL) insurance limits. After some resistance, State Farm offered the $100,000 limits. Here is the $100,000 settlement check. Neither Keith, nor the vehicle that he was in, had uninsured/underinsured motorist insurance. He was very happy with his settlement. So was I. Watch Keith talk about his injury and the settlement. Sara was driving her car in North Miami Beach. She was in vehicle 2 in the above crash diagram. Another driver, Vehicle 1, was heading in the opposite direction. The other driver tried to make a left-hand turn. Sara crashed into him. This is how Sara’s SUV looked after the crash. The crash resulted in a lot of damage to her car. Her airbags deployed. Both of these facts increased the value of her case. She said the crash worsened her pre-existing herniated disc in her lower back. She had bad lower back pain. Sara had diagnostic nerve block injections to her lower back. The doctor’s assistant used a cell phone to video the injections. In the video, you could hear her crying (in pain) when she received the injection. She also broke her nose. GEICO insured the other driver. A neurosurgeon recommended lower back surgery. However, she did not have surgery at the time of the settlement. Despite my providing GEICO with documentation of Sara’s injuries, they didn’t offer any money for a while. I sent GEICO’s insured a document asking him to send us his tax information and assets. He hired a personal attorney. GEICO changed their tune and offered the $100,000 BIL insurance limits to settle. Sara accepted it. She was happy with the settlement. The driver of the car made a left hand turn. The motorcycle rider crashed into the side of the car. The rider complained of lower back pain. He also had knee pain and issues holding erection. He didn’t have health insurance. The rider hired me as his personal injury attorney. We sent him to a doctor who agreed to treat him. This medical group agreed to wait to collect payment from the accident settlement. They sent him for an MRI of his lower back. The MRI showed a herniated disc in his lower back. GEICO insured the driver of the car. But here’s the kicker. GEICO offered $4,500. The GEICO adjuster increased his offer to $10,000. It gets better. I met with an orthopedic doctor to review the MRI. I wanted to see what a conservative doctor would say about the herniated disc. He said that this was a real disc herniation. I quickly sent GEICO a copy of the MRI CD that showed the herniated disc. I also sent my client to get his bruised testicle checked out by a urologist. One symptom that urologists treat is erectile dysfunction (ED). It is very tough to get examined by a urologist without health insurance. I found a urologist who did a one time exam on my client. He diagnosed him with erectile dysfunction. I asked the urologist to sign an affidavit that stated the future costs of medication to treat the erectile dysfunction for my client’s life expectancy. He signed the affidavit. GEICO then suggested that we mediate (meet in person) to try to settle the case. At mediation, we settled the case for $100,000. This is for over 22 times GEICO’s first offer. Don’t believe GEICO when they tell you that your case is only worth a certain amount. The same is true for any insurance company. Get treatment for all of your symptoms. A man was driving his car. A drunk drive hit him. The drunk driver was arrested at the scene. GEICO insured the drunk driver. The injured man complained of neck pain and other injuries. I claimed that the accident caused or aggravated his herniated discs. He didn’t have steroid injections or surgery. I requested the entire criminal court file, which had some good information to use against the drunk driver in the personal injury claim. GEICO has a reputation for making a low opening offer. They’ve done it with me many times. Know the value of your lower back pain case. I can’t emphasize this enough. If you don’t know the fair value, GEICO may try to convince you that what they’re offering is fair. Claim adjusters can be very persuasive. We settled for $95,000. My client was happy with the $95,000 settlement. See my case where a pedestrian who was hit by a car got $70,000 for bulging discs and a herniated disc in her lower back, a tibial plateau fracture, a sacrum fracture, and a shoulder injury (shoulder impingement). A police officer suffered a back injury, while he was on duty. He was rear ended in a car accident in Medley, Florida (North Miami-Dade County). The driver who caused the accident received a ticket for following too closely. State Farm Insurance insured the at fault driver. State Farm paid us the $10,000 BI liability limits. My client suffered a bulging disc. He was a candidate for a lumbar laminectomy. He had epidural shots to his lower back. However, he did not have back surgery. Travelers was his underinsured motorist (UIM) insurer. They paid $47,000 to settle. At the time of the settlement with the Underinsured Motorist (UIM) Insurer, workers’ compensation for the police department paid over $17,000 in indemnity (lost wages) and medical benefits. I have said before that as a starting point for evaluating the settlement value of pain and suffering from a bulging disc caused by someone else in Florida is between $10,000 and $15,000. My client had epidurals, which generally increase a case value. My client lived in California, but was on vacation in Florida. He was a passenger in a car. Another car crashed into him. It happened in Miami, Florida. Nationwide Insurance insured the careless driver. He treated with chiropractors for over a year before having an MRI on his back. An MRI revealed a herniated disc effacing (pressing on) the spinal cord. My client lived in California. If you live outside of Florida, and are hurt in a Florida car accident, you often have different rights. Moreover, if you live in California and are injured in a Florida car accident, you rights are different than if you live in another state. Tom, a 51 year old, was driving a box truck on I-75 in Wildwood, Sumter County, Florida. Jose was driving a tractor trailer headed in the same direction. American Inter-Fidelity Exchange insured Jose’s employer. We claimed that the accident caused or aggravated pain in Tom’s neck, back and elbows. The doctor ordered an MRI of his lower back. The MRI showed bulging discs. American Inter-Fidelity Exchange paid us $28,000 to settle Tom’s personal injury claim. I was Tom’s personal injury attorney. Erika was a passenger in a car near Little Havana, Miami-Dade County, Florida. My client was a passenger (vehicle 2) in a car that was heading North on SW 27 Ave.
Another driver (Vehicle 1 in the above diagram) was heading south. He was attempting to make a left turn. The car that Erika was in T-boned the other car. The other driver received a ticket for failure to yield the right of way. The other driver was arrested for driving under the influence (DUI). Erika complained of lower back pain, knee pain and other soft tissue injuries. State Farm insured the DUI driver. State Farm paid us the drunk driver’s $25,000 bodily injury (“BI”) liability limits. My client was a passenger in her friend’s car. The driver of the car that she was in (“host car”) slammed into the car in front of him. Both cars were disabled and towed from the accident scene. Miami-Dade County Fire Rescue arrived on the scene. They noted that her main complaints were chest and abdomen pain. The ambulance took her to the hospital. This increased the value of her case. At the hospital, doctors diagnosed her with a sprained neck and other pain. They took x-rays of her lower back (lumbar spine). They also took x-rays of her clavicle, pelvis, thoracic spine, cervical spine and chest. A CT scan showed bulging discs in her neck. A chiropractor diagnosed her with a sprain/strain of the lower back, and a lumbar nerve root lesion. She had numbness and tingling in both of her feet. This numbness and tingling increased the value of the case. She also had other injuries as well, including a herniated disc in her neck. State Farm insured her friend with a $25,000 per person BIL policy. They paid us the $25,000 BIL limits. Unfortunately, my client didn’t have underinsured motorist insurance. My client was driving a car. He claimed that the accident caused his lower back pain. We also claimed that the accident caused or aggravated a herniated disc in his neck. 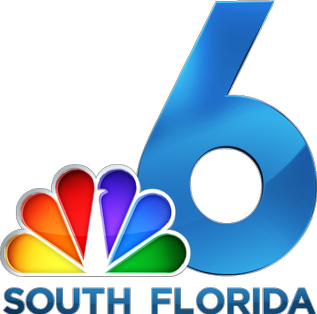 The crash happened in Kendall, Miami-Dade County, Florida. GEICO insured the careless driver. A passenger was in an SUV being driven near West Miami and Coral Gables. A pickup truck driver crashed into him. He claimed that the accident caused his back and neck pain. Progressive paid $15,000 to settle this case. On April 22, 2018, my client was in his car. He was stopped at a light in Fort Lauderdale, Broward County, Florida. A drunk driver hit him. He had at least one herniated disc in his lower back. He had three herniated discs in his neck. I like cases with GEICO when their insured is arrested for drunk driving. This is because we can also make a claim for punitive damages. Thus, when calculating how much the case is worth, I add value for this. You can read more about this $10,000 settlement. Here is a photo of Jeremy and I. My client was hurt in a car accident. A driver hit her and took off. My client took an ambulance to the hospital. She went to a chiropractor, who she had treated with before the accident. He diagnosed her with a lumbar radiculitis along with a lumbar strain and sprain. Radiculitis is describes the neurological symptoms felt as a nerve is pinched, compressed, irritated, or inflamed. Radiculitis most commonly occurs in the lower back or the neck. The chiropractor also diagnosed her with a neck sprain, a mid-back sprain, a wrist sprain and muscle spasm. American Vehicle Insurance Company was her uninsured motorist (UM) insurer. I reported a UM claim to her insurance company. They eventually paid the $10,000 limits to settle the case. They also paid her $10,000 in Personal Injury Protection (PIP) benefits. This paid for the bulk of her medical bills. 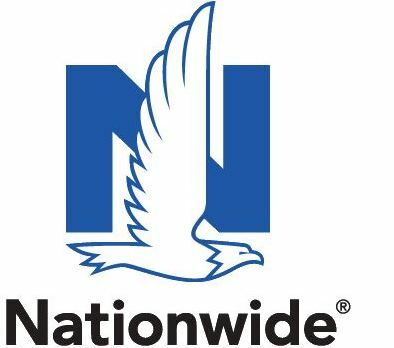 American Vehicle Insurance Company changed its name to Federated National Insurance. Federated is based in Sunrise, Florida. In addition to insuring automobiles in Florida, Federated National is also a big Florida homeowners insurer. Our client was standing in a car dealership parking lot in Miami-Dade County, Florida. A minivan backed up. It hit him at an idle speed. A few months prior to this accident, he had knee surgery. Immediately after this accident, he complained of knee pain. He did not have any swelling in his knee. Miami-Dade Fire rescue came to the scene. Our client walked to the ambulance stretcher. They put him on a backboard. My client was in a car. A hit and run driver hit his car and fled the scene. My client’s first medical appointment was about seven days after the crash. He was diagnosed with a Cervical sprain-strain, Thoracic sprain-strain and Lumbar sprain-strain. A lumbar strain is a lower back strain. Below are some verdicts in Florida where the victim claimed lower back pain. Her main injury was neck surgery. This isn’t my case. A female nurse claimed that a motor vehicle accident caused or aggravated two herniations in her lower back (L4-L5 and L5-S1). The crash occurred in Duval County, Florida. The entire verdict was for over $1.1 Million dollars. $536,700 was awarded for the pain and suffering component of the claim. Another car was at fault in this head-on car wreck in Palm Beach County, Florida. The injured man had a herniated disc in his lower back. It was at the L4-L5 level. He also had a spinal cord bruise (contusion), and erectile dysfunction. He also had another herniation at the C6-C7 level, which is in the neck. The case went to trial. The jury gave him $210,000 for pain and suffering. The jury also awarded him $231,000 for his medical expenses, both past and future. Allstate appealed this verdict. Her husband made a loss of consortium claim, but the jury rejected it. The case was Allstate Insurance Company v. Marotta, 125 So. 3d 956 – Fla: Dist. Court of Appeals, 4th Dist. 2013. Florida’s Fourth District Court of Appeal (DCA) issued an opinion in 2013. The 4th DCA handles appeals from Palm Beach, Broward, St. Lucie, Martin, Indian River, and Okeechobee Counties. The 4th DCA is located in West Palm Beach, Florida. All things equal, a broken bone is usually worth more than back pain. Therefore, a broken leg or fractured hand is usually worth more than back pain. This is, in part, because you can see a broken leg on an x-ray. Additionally, some people have back pain that is not related to an accident. My Miami law firm represents people anywhere in Florida if someone’s carelessness caused their injuries in car accidents, truck accidents, slip, trip and falls, motorcycle accidents, bike accidents, drunk driving crashes, pedestrian accidents, cruise ship or boat accidents, store or supermarket accidents, accidents at someone else’s home, condo or apartment, accidents involving a Uber or Lyft Driver, and many other types of accidents. Editor’s Note: This post was originally published on May 2013 and has been completely revamped and updated.